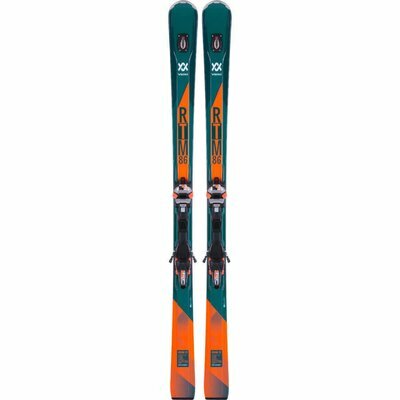 The Volkl RTM 86 is one powerful ski for aggressive experts looking for smooth skiing and edge hold on the frontside of the mountain. 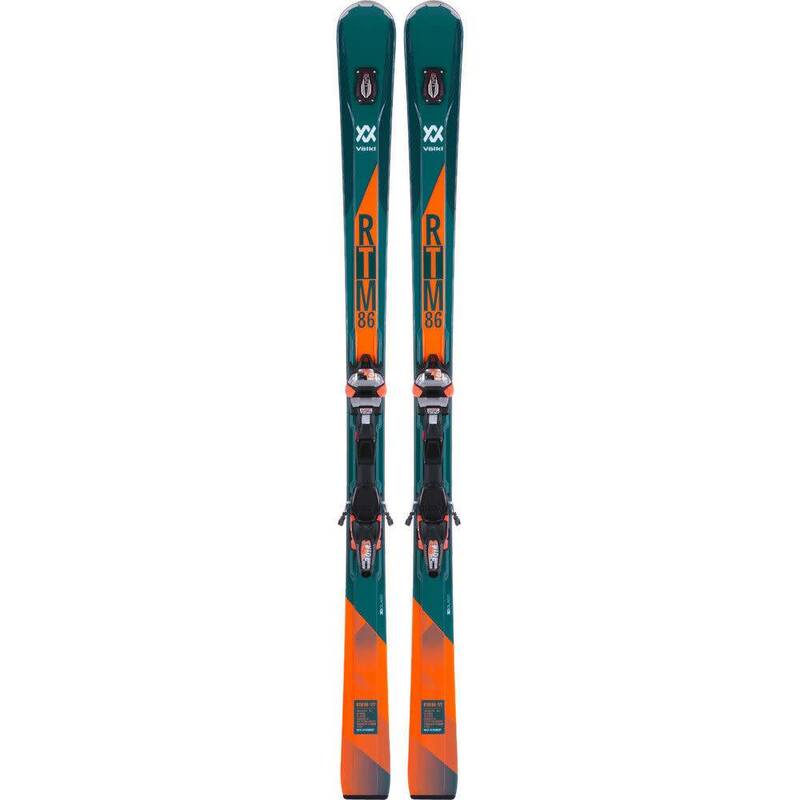 Made with Volkl's new 3D Glass Technology uses vertically laminated glass behind the sidewall and horizontally wrapped glass above the sidewall improve the skis rebound, and agility with better edge hold and more torsional power. Volkl's 3D Ridge Technology reduces the amount of inertia that it takes to maneuver the ski by pulling heavier material away from the edges and moving it towards a central channel on the ski. The RTM 86 includes the UVO (Ultimate Vibration Object) that dampens vibrations from flying down the mountain at fast speeds or in firm conditions. A Titanium Layer and 3D Sidewalls creates extra energy and edge hold that aggressive skiers cannot turn down. The 86mm waist has the girth to power through crud and keeps you on top of light powder when it snows on the groomers.